Last friday we had the second batch of the Startup Energy Reykjavik demo day. The President of Iceland was the keynote speaker. I have been a mentor to all the teams and I had 1 meeting with all of them. I have no idea why none of the teams wanted to meet with me again and engage in a discussion about what they are doing. I need to get feedback on this. Anyways, moving on, all the 7 teams presented their companies and they were quite good. There were a number of technical difficulties to get the actual slides up on time for the speakers to get with the flow of their presentation. It is always difficult when things don’t go according to plan. The President of Iceland had some thoughts on the worlds view on Energy. He said that the Energy industry is too focused on MegaWatts produced and heavy industry, he urged the audience that we need to focus on innovation and start rethinking energy from scratch – a startup. I could not agree more. 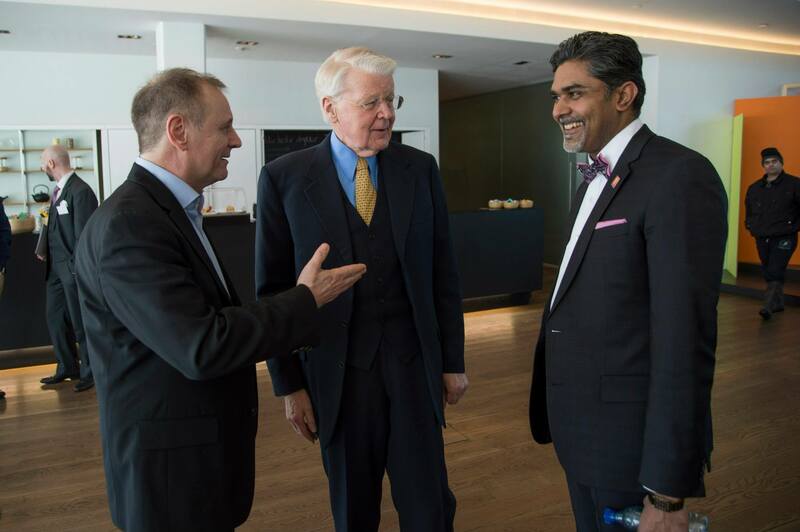 In addition to that he had some recommendation to the investor community in Iceland. The President carried on to narrate the story of Blue Lagoon, when he was in the Icelandic Government and they met the Founders of Blue Lagoon. After the founders made the presentation, all the bureaucrats in the room thought the founders were crazy to project 250k visitors will visit Blue Lagoon. The actual number of visitors who visited Blue Lagoon last year was close to 750k. The story of the blue lagoon is very important. The President was more or less saying that no-one knows what the future is going to be, however founders who work on a definite future have the opportunity to actually make it happen and we need to support them along the way. He gave another example of Agricultural innovation in Iceland, referring to the Tomato growing farm in Iceland Fridheimar, which has been attracting so many people with their fresh tomato soup and bread served in their Greenhouse. I visited that place myself and I have to say it is a fantastic facility. The President emphasized that innovation does not happen based on governmental plans or by bureaucrats or bankers, innovation is done by the everyday person, entrepreneurs, farmers and fisherman. He was addressing Iceland and said that after the financial collapse in Iceland, we as a nation have become too skeptical, which is not such a bad thing. However, we also need to have an open mind to look at big ideas when they pass us by. Core message of the President’s talk was that none of these things could have been planned. These are all examples of normal people starting in their garages to innovate and make world class companies and services today. We in Iceland are somehow blessed to have the experimental energy field. We need to capitalize on it and invest in this energy. Finance epitomizes indefinite thinking because it’s the only way to make money when you have no idea how to create wealth. If they don’t go to law school, bright college graduates head to Wall Street precisely because they have no real plan for their careers. And once they arrive in Goldman, they find that even inside finance, everything is indefinite. It’s still optimistic – you wouldn’t play in the markets if you expected to lose- but the fundamental tenet is that the market is random; you can’t know anything specific or substantive; diversification becomes supremely important. The founders don’t know what to do with it, so they give it to a large bank. The bankers don’t know what to do with it, so they diversify by spreading it across a portfolio of institutional investors. Institutional investors don’t know what to do with their managed capital, so they diversify by amassing a portfolio of stocks. Companies try to increase their share price by generating free cash flows. If they do, they issue dividends or buy back shares and the cycle repeats. At no point does anyone in the chain know what to do with money in the real economy. But in an indefinite world, people actually prefer unlimited optionality; money is more valuable than anything you could possibly do with it. Only in a definite future is money a means to an end, not the end itself. We need to find our way back to a definite optimistic world. The world of Founders and Entrepreneurs. ← Startup Iceland ticket price will rise in April, are you going to pay more or less?